Coworking spaces can be extremely valuable spaces to get work done, make connections, and grow your business. When it comes to finding the perfect coworking space there are a lot of factors you need to consider. Every coworking space might not work for your specific needs, so it’s important you take the time to evaluate what you’re looking for in a space. Below you’ll find the most common considerations you’ll need to think about before selecting the right coworking space for you. Maybe you’re a local Tahoe freelancer or solopreneur and you’ve heard about the wonders of working in a coworking space? Or, maybe you’re visiting the Tahoe area for a vacation and you’re looking for the perfect coworking space to get some work done? Whatever your needs are we can help you figure out what you require in a coworking space. In this post we’re going to explore what makes coworking spaces different, and what you’ll need to consider when choosing the perfect coworking space for your business. A coworking space can provide you with the perfect balance between home and work. Coworking spaces can be very beneficial, even in a small mountain town. By now, as freelancers and small-business owners you’ve probably experienced the difficulties that come with working from home. There are the constant distractions, interruptions, and the combination of your working and living environment. A coworking space might be able to diminish some of your most common problems. 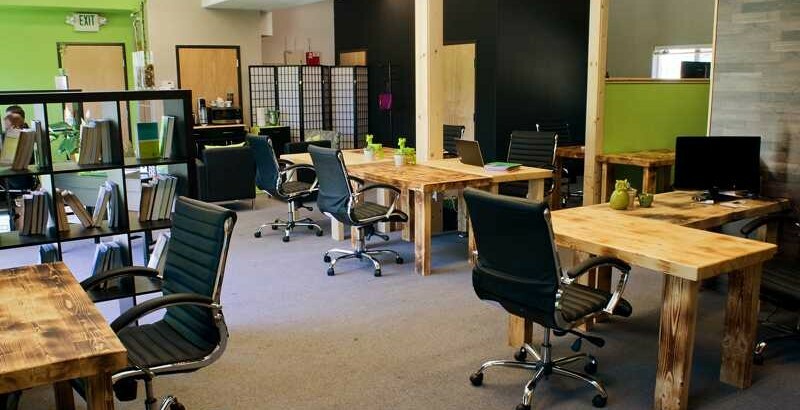 In this article we’re going to look at the benefits of a coworking space in a mountain town.